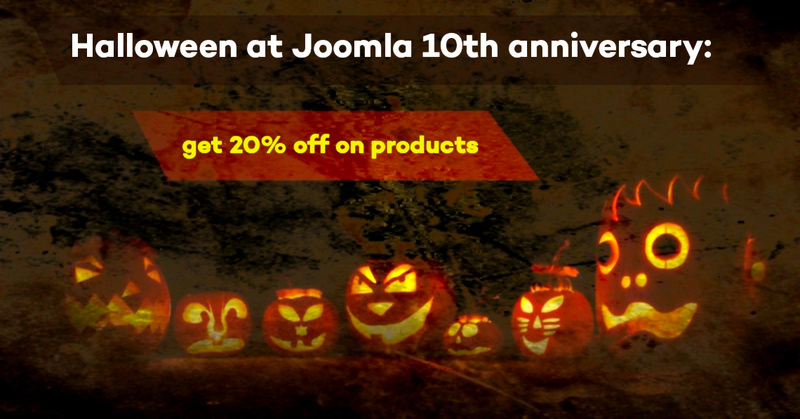 Halloween at Joomla 10th anniversary: get 20% discount on any plans and get bonuses from partners! This year Joomla! CMS celebrates its 10th anniversary and we are here to prepare a good discount on pricing plans in halloween time. Trick or treat and get 20% off on any subscription plan! The coupon is available for any pricing plans and valid until 9th of November. Please note that we bring discount for subscription plans only (templates, extensions and bundle packs), not for single products whose cost is $10-15. We provide updates of templates time to time, so if you’re using any of our theme - just check our its newer version. NorrNext brings NorrCompetition - a first video and photo voting contest component for Joomla! CMS. Using this extension you can add new great features on your website and start competitions with voting for photos or video and get final rating. You can get 35% discount on Personal & Business NorrCompetition plans and the same off on all developer plans of other extensions. JoomUnited provides a range of extensions for Joomla and Wordpress like galleries, file management, SEO, and general site management. Their products are well coded and, most importantly, very well supported. Get 35% Off on all products from JoomUnited. Jumazi is a team of passionate developer about Joomla and we work to create simple and powerful Joomla products. Discount: 25% on all pricing plans. Valid til 9th of November. Trick or treat with RoundTheme & partners!